Planning on attending the MPE Homeschool Conference in Kansas City this year? Stop by and say hello! We will have representatives from a number of the area Troops at a booth in the Exhibitors Hall. You can check our latest map, pick up information, ask questions, and meet some of the leaders and older girls. We’ll be in an unnumbered booth, along the front wall of the Exhibit Hall. You can find all the necessary information about the conference, including hours, speakers, and workshops on the Midwest Parent Educators website. We’ll be in booth #913, in the back right corner of the Exhibit Hall. A treat from the AHG National Conference Talent Show. Enjoy! 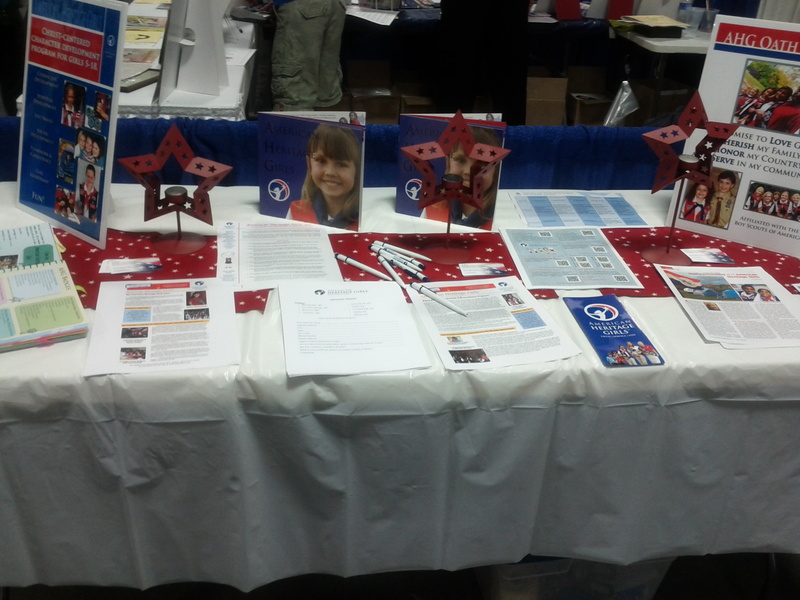 We will have representatives from a number of the area Troops at a booth in the Exhibitors Hall. You can stop by and pick up information, ask questions, and meet some of the leaders and older girls. We will also be presenting a workshop and discussion panel Friday at 9:00 a.m. We’ll be discussing the AHG program in general, how participation in a Troop looks for an average family, and the differences between joining an existing Troop and establishing a new one of your own. You can find all the necessary information about the conference on the Midwest Parent Educators website.